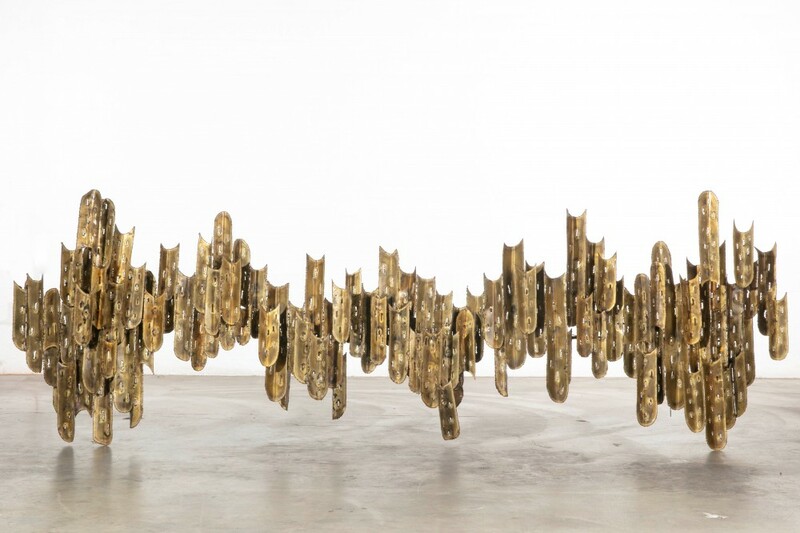 Andrew Jones' upcoming two-day spring auctions will feature fine art, jewelry, décor and more. Andrew Jones Auctions will burst into spring with a special two-day event of amazing back-to-back sales for savvy buyers, collectors and decorators looking for a new way to acquire great pieces. Both sales, on April 6th and 7th, will be held in Andrew Jones Auctions’ spacious downtown Los Angeles gallery, located at 2221 Main Street. 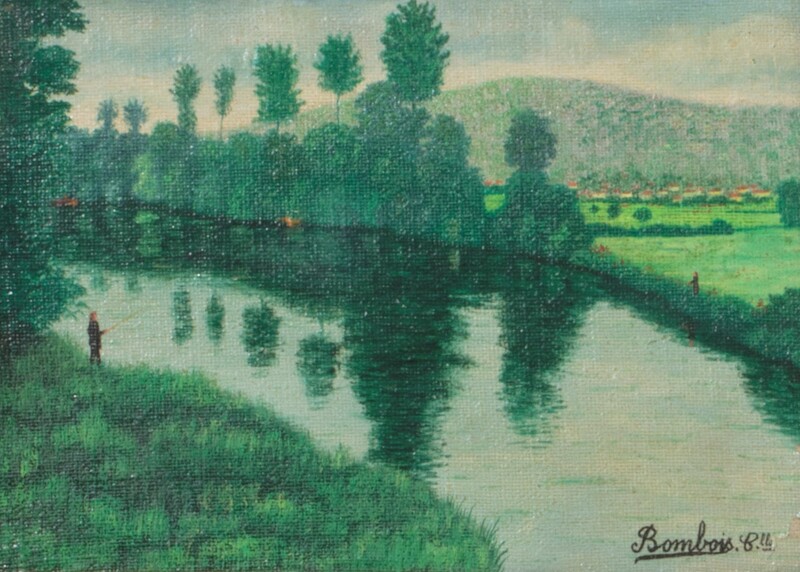 Oil on canvas painting by Camille Bombois (French, 1883-1970), titled Fishermen by a River in a Landscape with Town Beyond (est. $1,000-$1,500). The Sunday, April 7th DTLA Collections and Estates auction is where folks will find different, fun, quirky and out-of-the-ordinary accessories and furnishings, as well as luxe décor and statement pieces for the home, loft, gallery and retail space. Or, they can even re-design an entire room in an affordable, sustainable way. The sale will start promptly at 10:30 am Pacific time. The day before, on Saturday, April 6th, will see an Inaugural Unreserved on Main Street auction, featuring over 200 lots of uncatalogued and unphotographed merchandise, offered without reserve to in-room clients only, at 3 pm. The sale will comprise fresh estate property, including works by listed artists, costume jewelry, books, furnishings, vintage decor and fine accessories. 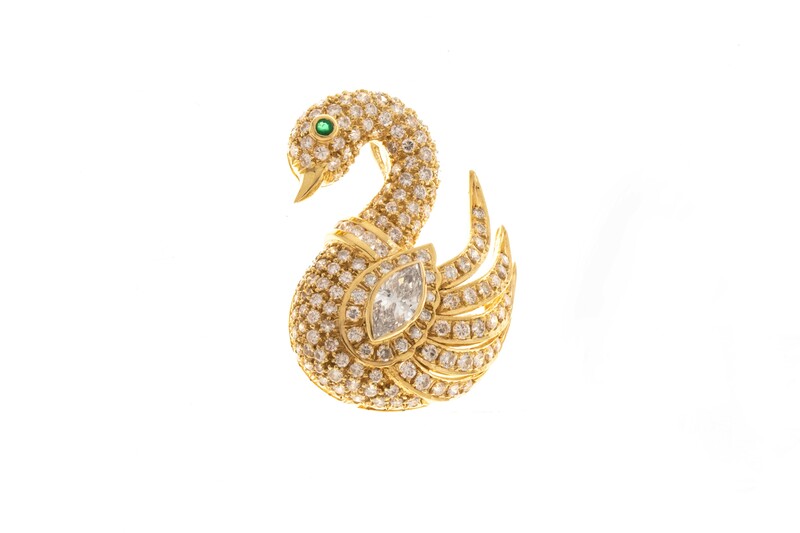 Diamond and 18K white gold swan form pendant-brooch (est. $700-$900). 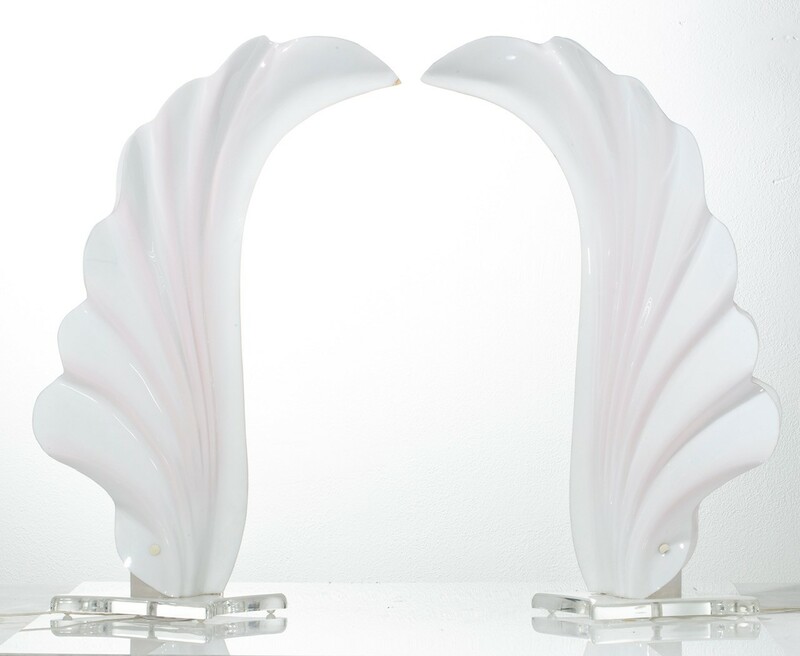 Pair of Rougier acrylic table lamps, circa 1975 ($200-$300). The April 7th DTLA Collections and Estates sale will be just as exciting, featuring nearly 400 lots of antiques, fine art, Asian works of art, books, fine and costume jewelry, Modernist design, industrial furnishings, rugs and great vintage finds from notable private estates and collections. Internet bidding will be provided by the platforms LiveAuctioneers.com and Invaluable.com. Noteworthy items will come from the collections of Tom Buckley, Lauren King, Stuart Meyers, Mary Ellen Wiegand, the estates of Peter Falk and Jack Levin, and the Hope A. Copeland Trust, as well as private sources in Irvine, Malibu, Pasadena and West Hollywood, among many others. Tom Greene beaten and patinated metal light sculpture, circa 1960s ($600-$800). Modern Design lots will include a Kurt Venson aluminum flip top floor lamp ($400-600), a pair of Rougier acrylic table lamps ($200-400), a pair of Pierre Cardin white laminate and chrome side cabinets ($400-600) and a Tom Greene brutalist metal lighting and sculpture ($200-800). 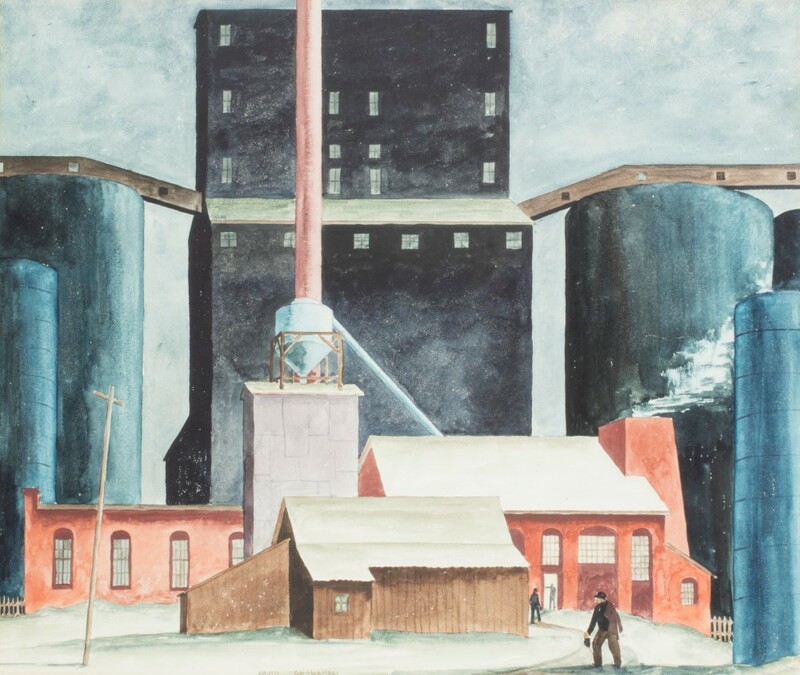 Watercolor painting by David Granahan (American, 1909-1991), titled Night Shifts (1934) ($500-$700). Paintings and works on paper will include a watercolor by WPA artist David Granahan titled Night Shifts ($500-700), mixed media pieces from Laddie John Dill ($300-600), Edward Borein’s etching Cow Hands on Horseback, a Paul Grimm scene of a cowboy ($1,000-1,500), and a Camille Bombois oil painting of Fishermen ($1,000-1,500). 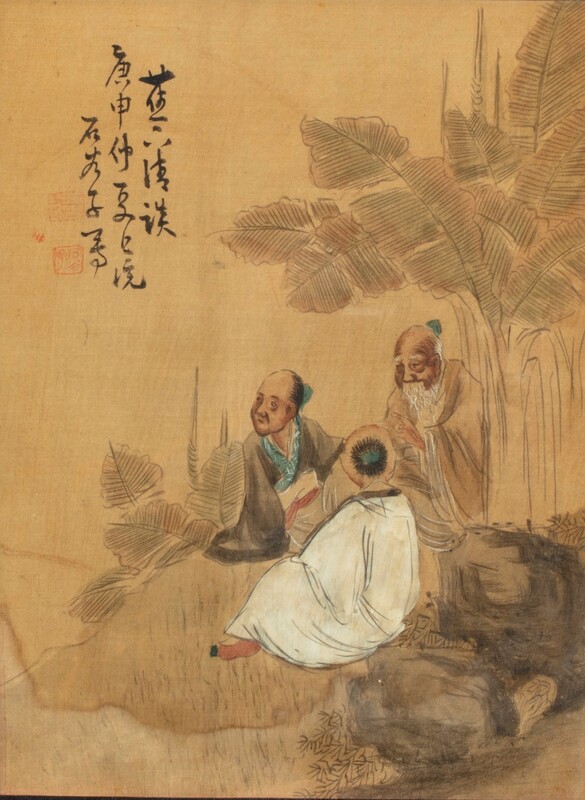 Asian works of art will feature collections of Chinese hardstone figures ($1,000-2,000), cloisonné and metalware ($800-1,200), and porcelain ($700-900). Jewelry will range from a costume collection of names like Marvella, Monet and Robert ($300-500) to diamond and gold jewelry ($200-900). 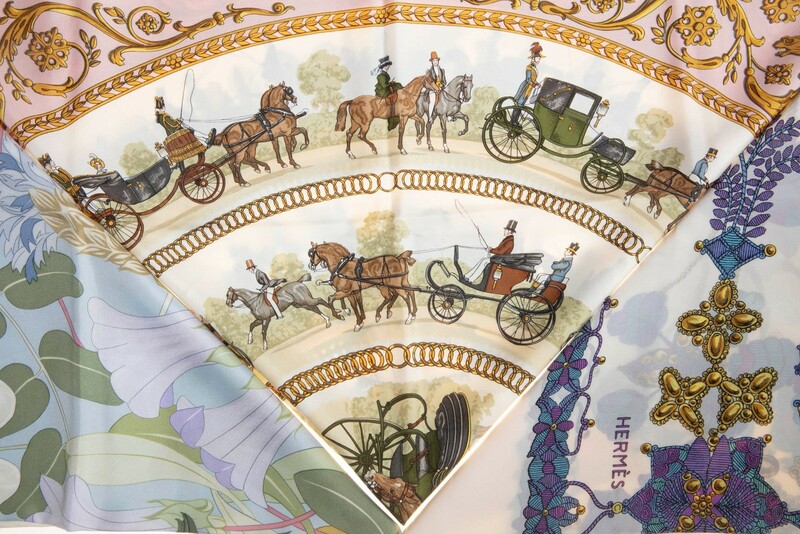 Also included will be vintage Hermès and designer scarves, Bakelite and costume jewelry and Coach bags ($200-500). 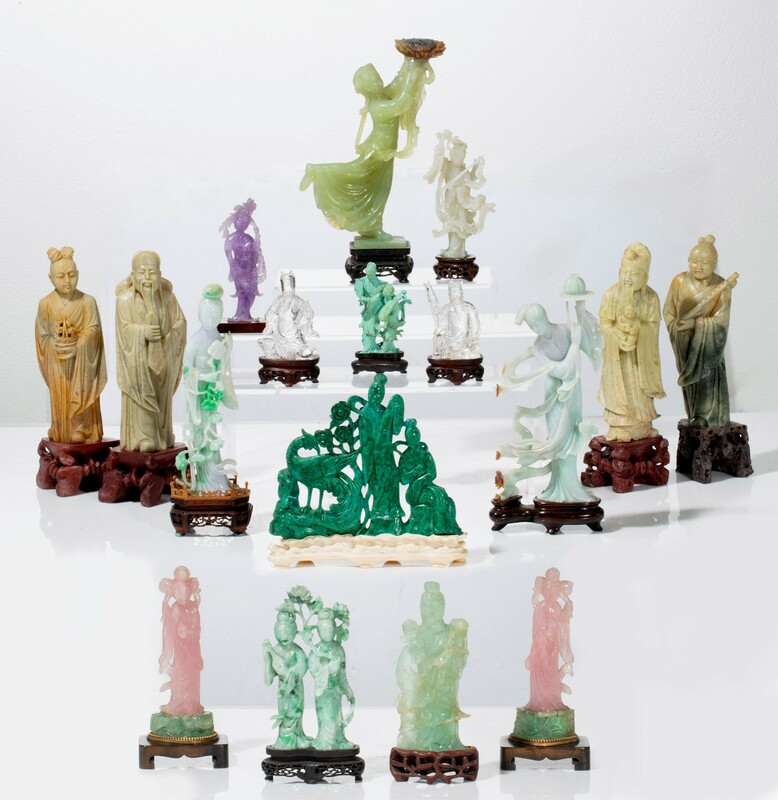 Collection of Chinese hardstone figural carvings (est. $1,000-$2,000). Antique furnishings will be led by a Steinway reproducer player piano ($2,000-3,000), Tiffany Studios Zodiac pattern desk accessories ($200-300), a Royal Copenhagen model of Europa and the Bull ($400-600) and a George III silver chamberstick by William Cafe, 1762 ($300-500). 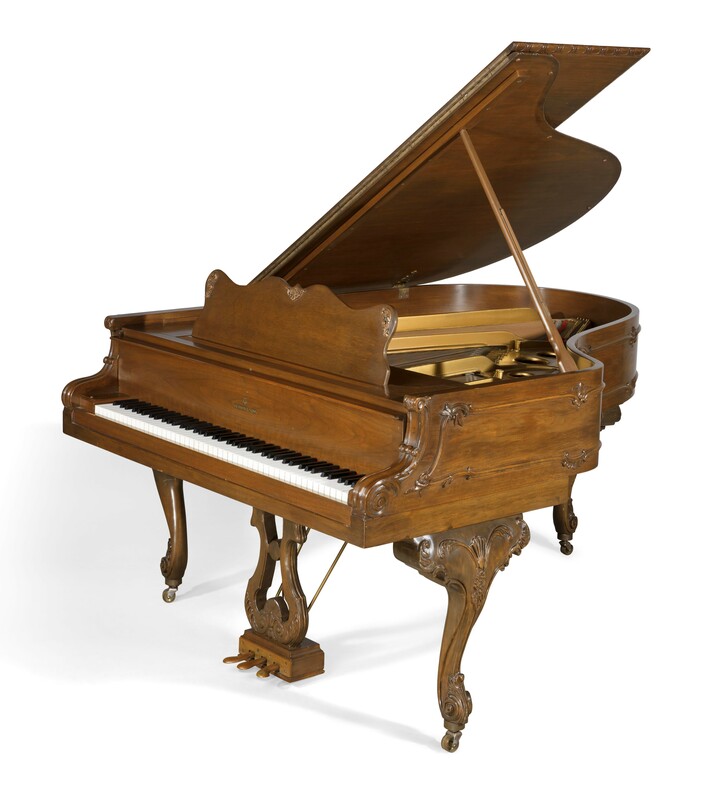 Steinway walnut reproducer player grand piano, Model OR, circa 1922 ($2,000-$3,000). The April 6th Unreserved on Main Street auction will offer property from the same sources, all without reserve. 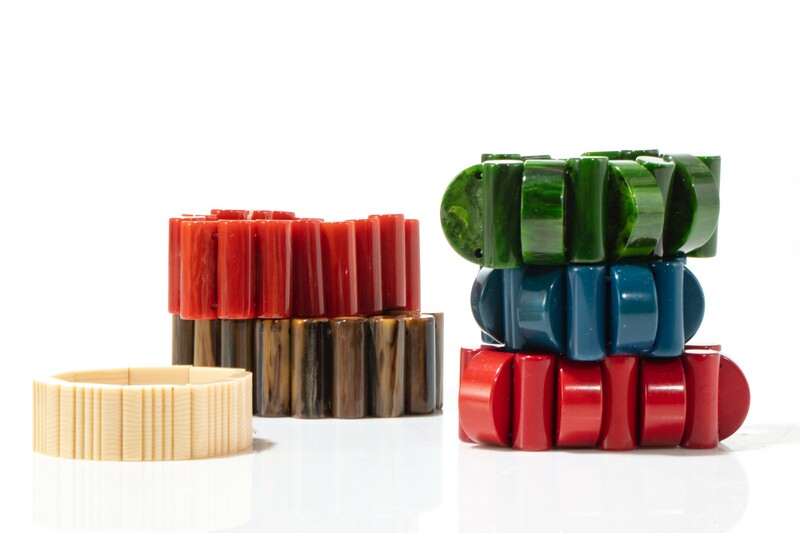 Included will be period Biedermeier, modernist and industrial furniture, as well as paintings by Sydney Fossum, Malcom Myers, works on paper by Eva Gera, vintage Bakelite and costume jewelry by Robert Larin, Monet and Rebajes. Also included will be a selection of Asian works of art, fine accessories and décor, enamel cookware by Catherine Holm, vintage garden tools, games, toys, books, carpets and more. 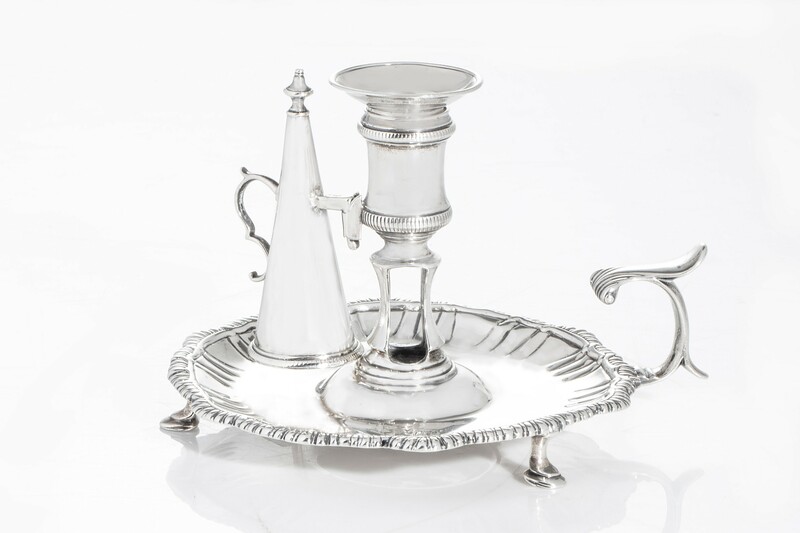 George III sterling silver chamberstick by William Cafe (London, 1762) (est. $300-$500). Andrew Jones Auctions’ next big event after these will be a Design for the Home & Garden auction on Sunday, May 19th, also online and in the downtown Los Angeles gallery. 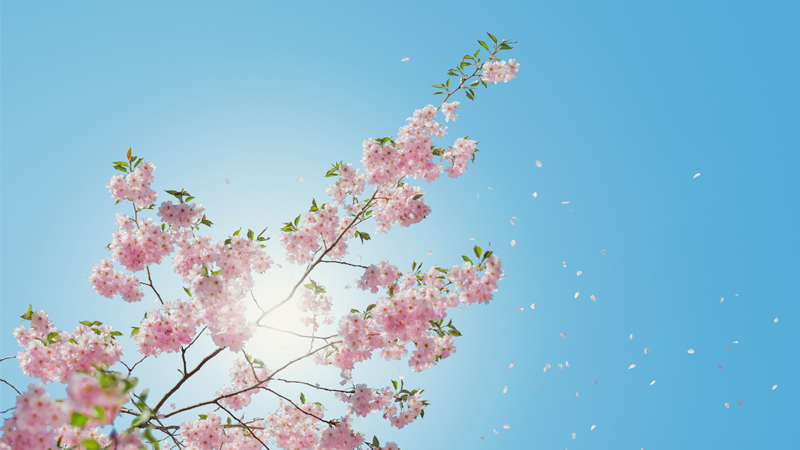 Previews will be held May 16th thru 18th, from 10-5 Pacific time. Watch the website for further details.